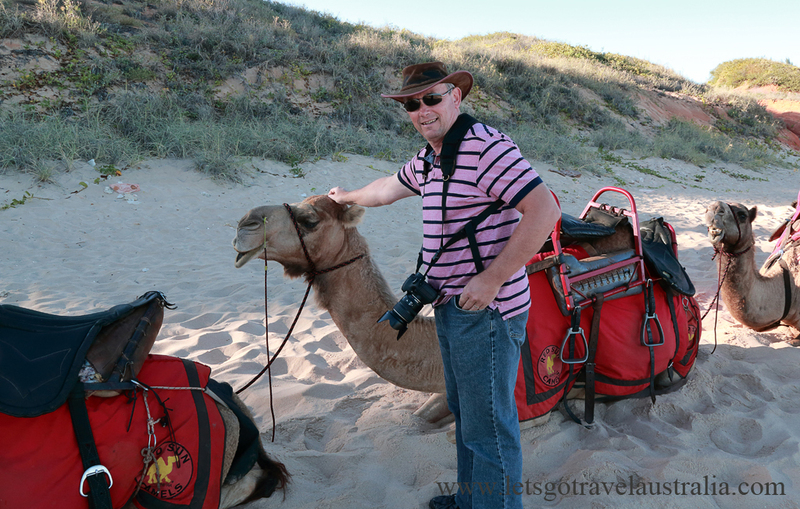 15/7/14 – We had a morning camel ride today with Redsun Camels. Really great friendly bunch of people, they did a great job. We got a camel called Coco, she is the Alfa female of the group, she doesn’t like to be told where to go, doesn’t like to stay in line and apparently pushes in and gets all the food. She had a nice big belly that Chris found rather uncomfortable to have his legs over. He kept saying men aren’t supped to be spread that far apart. By the end we were both a tad sore but had heaps of fun. Our ride was 40 mins and cost $60 each. I (Kate) had been on a camel before but it was Chris’s first time. The camels sit on the ground, the person sitting on the back gets on first, which was Chris. The camels makes lots of noise, guides said it was there way of saying hurry up. 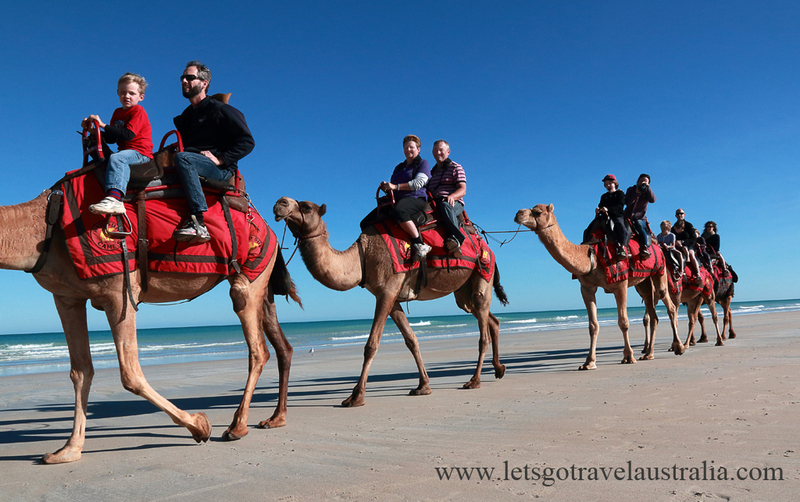 Once on you have to lean back, as the camel gets up, the rear comes up first so you get tipped forward. 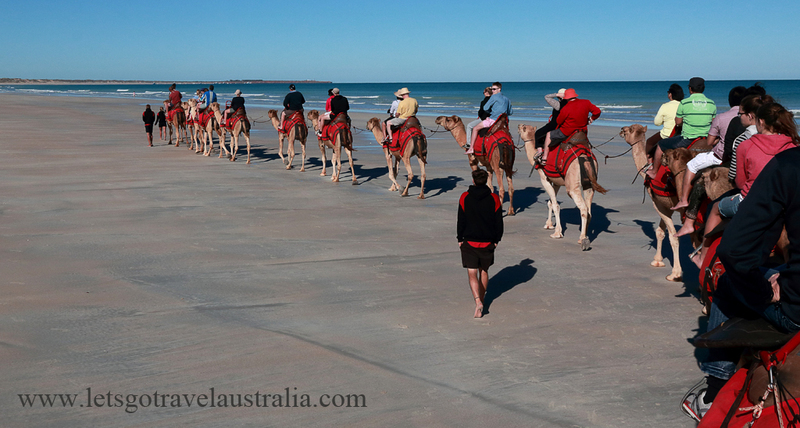 The camels are then led by one of the guides in a line, plod plod, hard to take photos on a camel. The guides walk along side and tell you all about your camel and answer any questions you have. 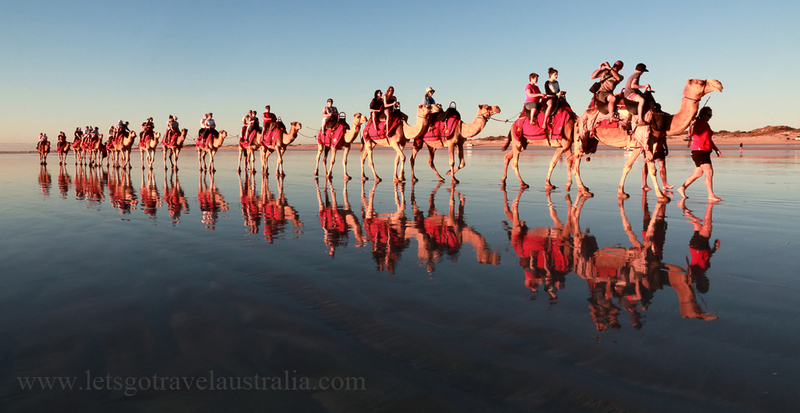 The camels are wild camels that have been trained, which can take anywhere from 3 months to a year. Each camel wears a specially made custom fit poo bag. Some of the other companies had people walking behind picking up poop from the beach, fun job. At the end of the ride we all got to feed our camels a carrot. The rest of the day was doing chores, shopping, washing etc. We went back down to the beach around 4pm. The beach had lots of 4×4 parked on the beach spread over a long area. Cable Beach is pretty impressive, it would have been lovely to have had more time and gone for a longer drive on the beach, but we don’t, so maybe next time. 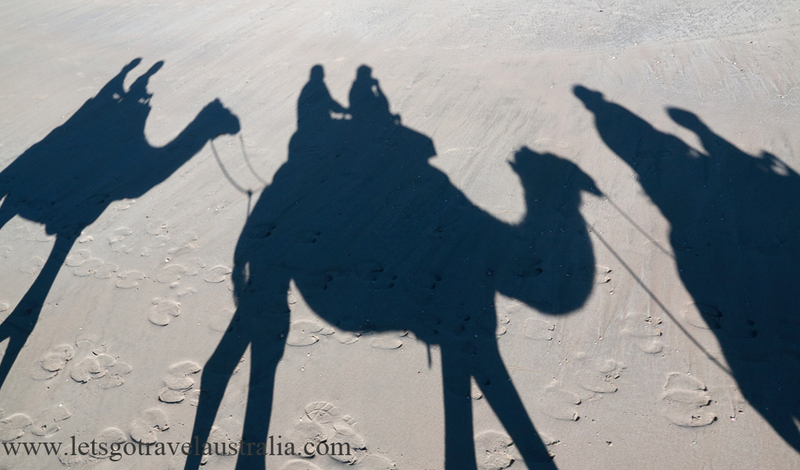 We had a ball following camels up and down the beach taking photos. Back to camp and pack up the trailer, shower, buy tea and on the road heading to a camp somewhere near Derby ready to do the Horizontal Falls tomorrow. We are squeezing this in so had to leave Broome tonight rather than tomorrow.